BEIJING, Nov. 01, 2018 (GLOBE NEWSWIRE) -- Baidu, Inc. (NASDAQ: BIDU), the leading Chinese language Internet search provider, today announces at its annual flagship technology conference Baidu World volume production plans of China’s first Level 4 (L4) Hongqi autonomous driving passenger vehicles, collaboration with Volvo Cars and plans for autonomous driving taxis. The Apollo-Hongqi autonomous car will launch for testing and pilot operations as early as 2019 initially in cities including Beijing and Changchun. “The era for autonomous passenger vehicles is upon us, but having only smart cars is not enough. We also need smart roads. By leveraging our capabilities in autonomous driving and AI technologies, we can develop comprehensive solutions that will greatly improve the efficiency of urban cities,” said Robin Li, Chairman and CEO of Baidu. In partnership with FAW Group, one of China’s largest automotive manufacturers and developer of Hongqi, Baidu unveiled China’s first Hongqi L4 autonomous passenger vehicle at Baidu World. 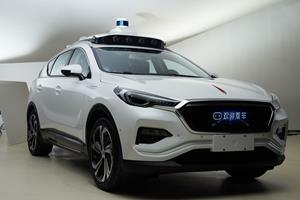 A limited number of Hongqi L4 vehicles, powered by Baidu’s Apollo autonomous driving platform, will launch for testing and pilot operations as early as next year initially in cities including Beijing and Changchun. In 2020 an increased number of L4 vehicles will be deployed in additional cities. Baidu is set to launch a fleet of autonomous driving taxis next year for pilot operations in Changsha, the capital city of Hunan province in south central part of China. The fleet of over 100 vehicles will be China’s first group of autonomous driving taxis managed by the Apollo Intelligent Vehicle Infrastructure Cooperative System, a comprehensive solution that integrates smart vehicles and intelligent road infrastructure for safer deployment of autonomous cars. Under this system, for example, autonomous vehicles will be able to better communicate with traffic lights. Baidu is also in discussion with Beijing and Shanghai municipalities to provide AI-powered city management solutions, which will help with urban safety, traffic congestion and public parking, leveraging Baidu Brain, Baidu Cloud and autonomous driving technologies to improve urban living. Baidu has also reached an agreement with Volvo Cars to jointly develop electric cars with full autonomous capabilities for China. The partnership with Baidu is the first of its kind for Volvo in China. Baidu strategically collaborated with Volvo for its long-standing reputation and track record of being one of the safest car brands in the world. Baidu will bring the power and resources of Apollo, while Volvo will provide access to its expertise and advanced technologies of the car industry. Launched in July 2017, the Apollo autonomous driving open platform has brought together 131 global partners. Earlier this year, working with Chinese bus manufacturer Xiamen King Long, Baidu began volume production of Apolong, China’s first L4 autonomous mini-buses. Apolong buses have been running in over 10 locations throughout China. The latest partnerships and advancements further solidifies Apollo’s position as one of the largest and most vibrant autonomous driving communities in the world.